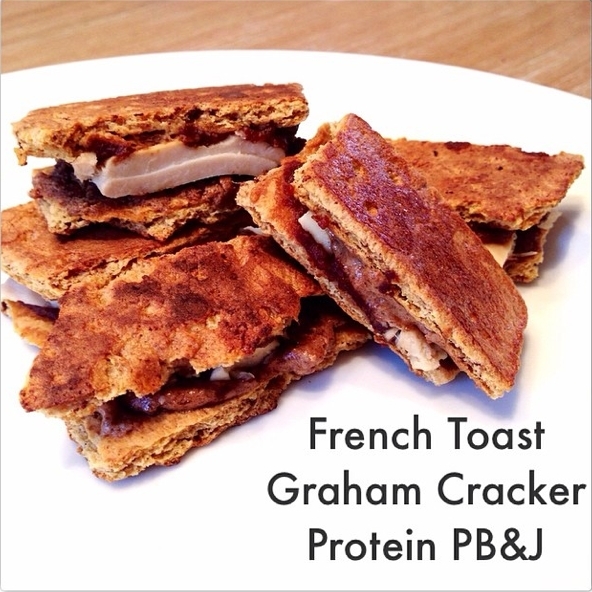 french toast, graham crackers, peanut butter, jelly.. where can you go wrong? I USED EREWHON'S WHOLE WHEAT GRAHAM CRACKERS*** they just didnt have them in this database! Soak your graham crackers in the eggs whites, almond milk, vanilla extract, and cinnamon. Cook one side of the graham crackers and then pull off heat and layer with pb, tuna, jelly, and another graham cracker. Place back on heat and cook the outside of the sandwiches!